This is the third chapter of The Architects Guide to Choosing the Right Carpet. Among the many decisions to be made when selecting carpet, colour and design are actually the final aspects. First come important decisions as to the type or types of carpet most suitable for your project, and your choices will impact aspects such as delivery time, cost, quality, durability and, finally, design options. Should you choose wall to wall or carpet tiles? Tufted, woven or needle-punched construction? A knowledge of carpet construction can assist you as you make important decisions in the specification phase, buying phase and, not least, the fitting phase of your flooring project. While wall to wall means increased waste, higher cost and more complicated installation, it also means unmatched design versatility and a stunning, seamless finish. Wall to wall carpet (also known as “broadloom”) is manufactured in long, wide rolls. Most manufacturers have different backing options, some of which allow installation directly on the subfloor, but wall to wall is most often laid on underfelt over a substrate floor. Despite the perhaps confusing name, “wall to wall” does not necessarily need to cover the entire room. It can just as easily be installed in a specific area only, integrating with another carpet or a different flooring. 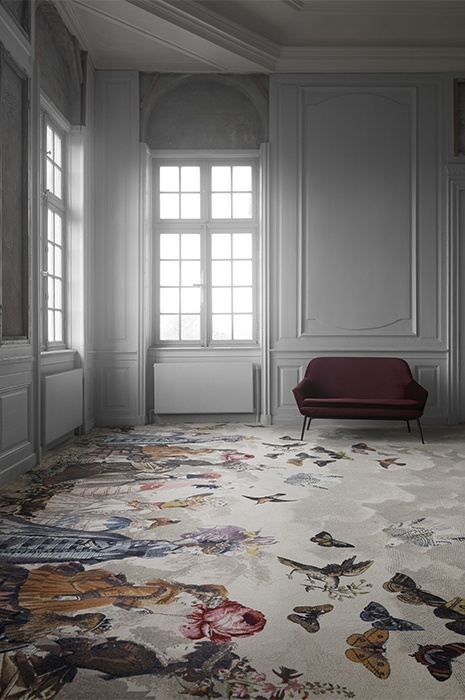 For projects with high design ambitions or for large spaces, wall to wall carpet more than makes up for its shortcomings. While wall to wall means increased waste, higher cost and more complicated installation, it also means unmatched design versatility and a stunning, seamless finish. Carpet tiles are small squares of carpet that can be laid in many versatile ways. 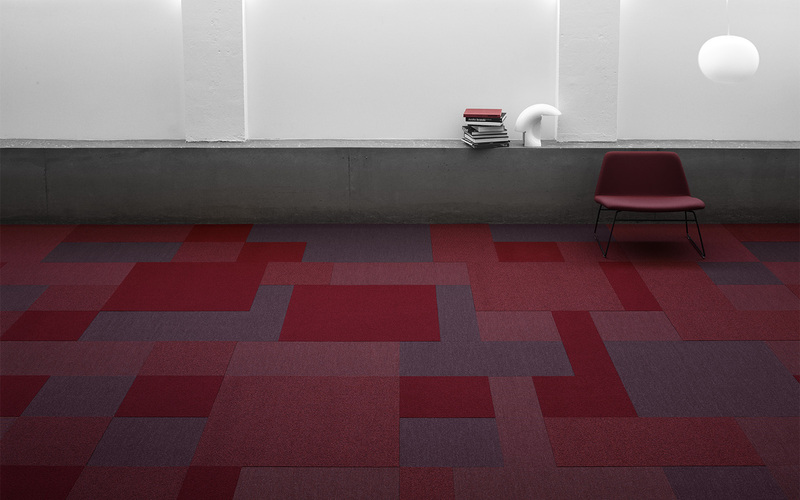 While squares are most common, carpet tiles are also available in other shapes such as planks, triangles and hexagons. Standard tile shapes are faster and easier to lay than wall to wall carpet and result in considerably less wastage, saving on both time and money. Around 95 per cent of all commercial carpets on the market are tufted, mainly due to the fast production time, lower price point and high design flexibility of this type of construction. Tufted carpet also offers a broad range of pattern possibilities, using pre or post-dyed yarns, varying loop height and cut or uncut pile. When choosing between tufted or woven carpet, installation is an important consideration. A woven carpet is essentially stitched together along the side, while a tufted carpet can be easily seamed both along the sides and across the ends. This means that less carpet is required for a tufted carpet installation, the process is usually speedier, requires less skill and is less prone to errors. Tufted carpet will produce great results in most applications, however there are times when the generally superior quality and durability of a woven carpet may be preferable. When choosing between tufted or woven carpet, installation is an important consideration. Weaving was the production process of choice for carpets up until the 1950s, when advances in machinery and the introduction of synthetic materials began the era of tufted carpets. Today, most carpet suppliers still carry woven carpets as an option due to their exceptional quality and durability. This is especially true of woven carpets using natural materials such as 100 % wool or wool blends. The quality and purity of the wool are important factors influencing the long-term appearance and durability of the carpet. 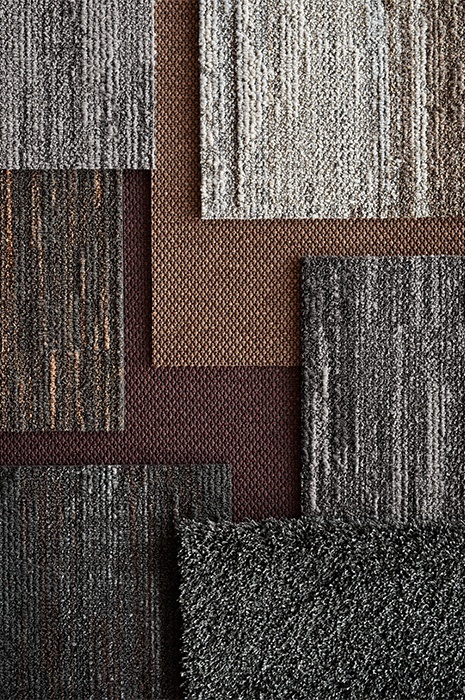 The plush appearance of woven carpets make them ideal for high-end projects where a luxury look and feel is required. Needle punched carpet is exceptionally colourfast, dry quickly and is highly resistant to sunlight and fading. It is, however, fairly lacking in design versatility and offer little in the ways of look and feel. Needle punched carpet is not recommended for general use, but is an excellent choice for areas where moisture could be a problem, such as pool decks, locker rooms and patios. Needle punched carpet is most commonly used for entry mats and is available in both broadloom and carpet tiles. Wall to wall or carpet tiles? 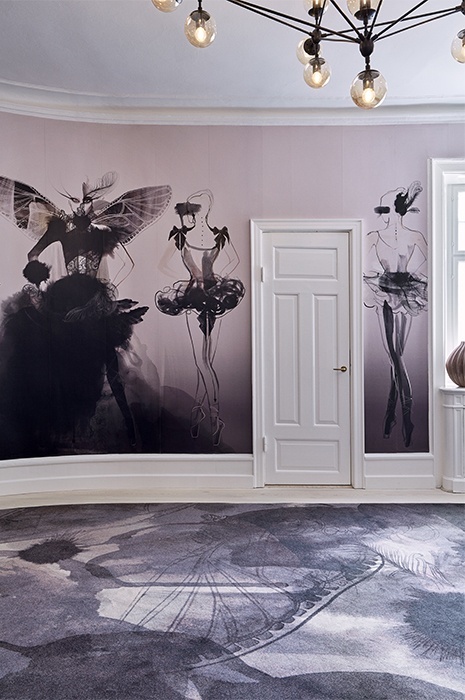 Wall to wall is essential if you wish to use large-scale patterning or are seeking a superior luxurious effect. Standard unicolour wall to wall carpets and carpet tiles are great for most other applications and offer a great and cost effective alternative if the budget is tight. Carpet tiles are also ideal when the timeline on your project is restrictive or regular maintenance and replacement is an issue – or if you simply have no need for the high design factor of wall to wall carpet. 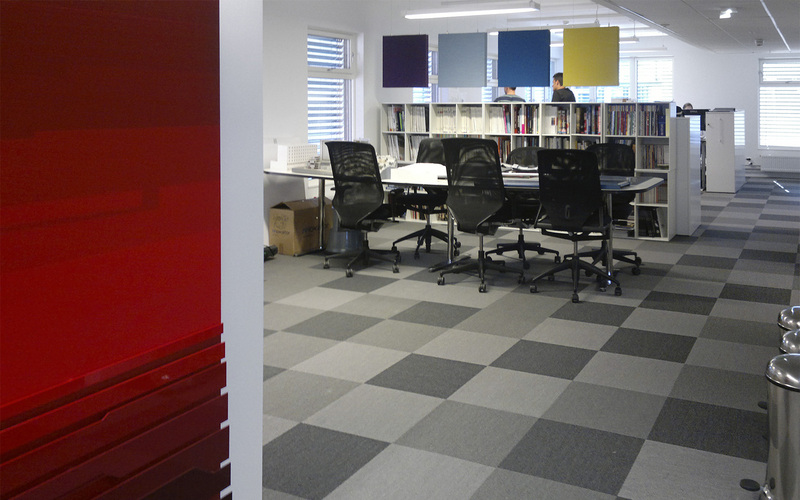 In our next blogpost we´ll take a closer look at why you should consider carpet tiles for your next project.